waterside contemporary is pleased to present Fences Make Senses, a new video installation by George Barber. There are now more than 50 million refugees and displaced people in the world, more than the number at the end of World War II. In search of a better life, thousands risks lives daily at the hands of smugglers, human traffickers or unseaworthy boats. No single person or country can offer any solution to this complex issue; nevertheless press images inveigle themselves into the imagination and demand reaction. 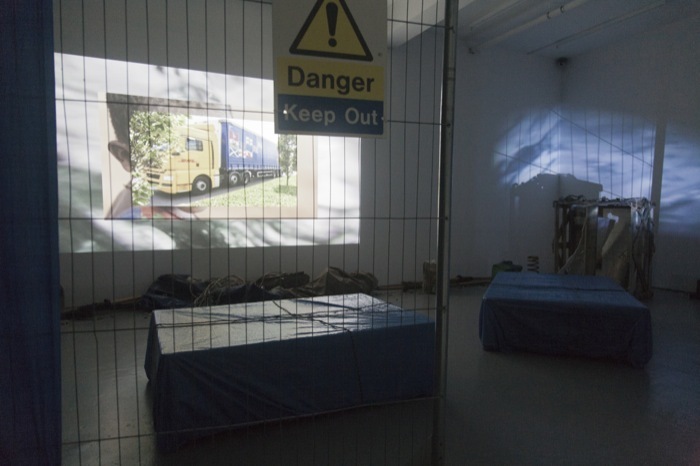 In an installation conceived specially for the gallery and consisting of two new video works and artefacts, George Barber’s Fences Make Senses rehearses and re-enacts prevailing debates at international borders. Contemporary media reports usually focus on the plight of the forsaken; Barber instead specifically uses non-refugees to improvise situations and themes frequently faced. Buying a totally inappropriate boat from a rogue, for example, or having the wrong paperwork at a border, or on towards more philosophical notions - like the moral dichotomy of Captains who routinely ignore refugees. Created before the recent surge of disasters in the Mediterranean, the exhibition’s feature video combines found and made footage to produce a montage anchored on migrant experience. 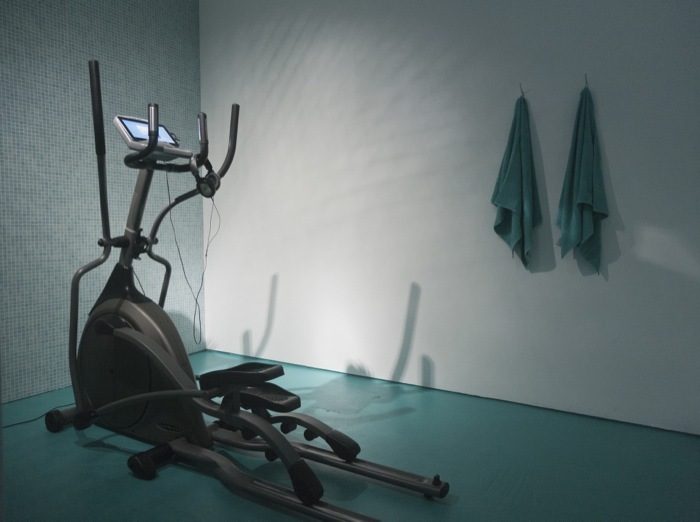 While the re-enactments are at times absurd, the artists’ own poetic voice–over explores the injustices and paradoxes of the situation. In a companion piece Basement Pool, Barber monologues to get 'underneath' the water, taking on an anxiety of hypothetical neighbours excavating basement pools in more affluent areas of London. The indulgent and superficial unease is in stark contrast to problems many others face across the globe. 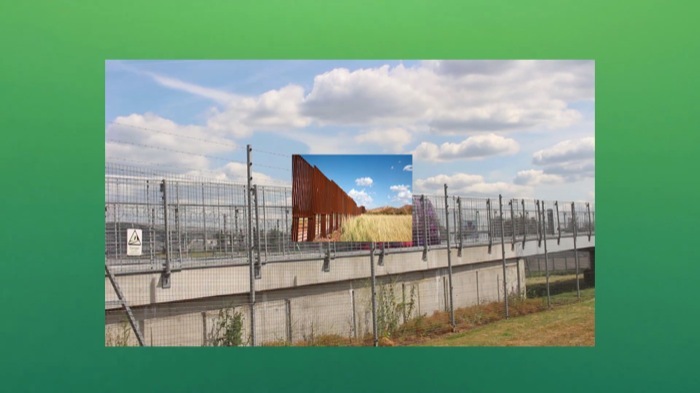 Fences Make Senses proposes the meeting place of poetry and philosophy as a site to consider one of the world’s biggest humanitarian and political concerns. Barber’s use of non-refugees to perform ultimately reignites and reframes the growing condition, stating it in an unexpected way.